FY09: A University Program of Detector Research for the International Linear Collider (vol.  VII) (340 pages, posted 06 February 2009, last revised 02 April 2009; 9.3 MB pdf). FY08: Detector proposal supplemental funding requests for A University Program of Accelerator and Detector Research for the International Linear Collider (vol. 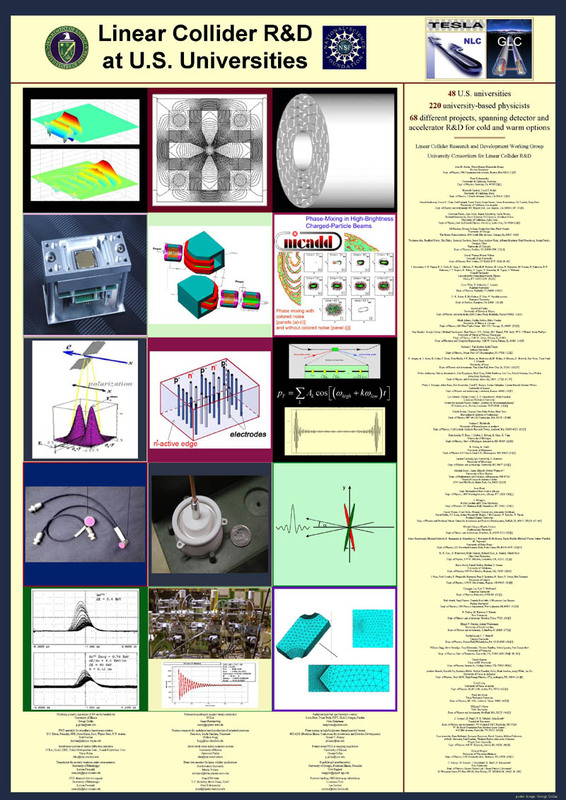 VI): Detector projects (173 pages, posted 03 December 2007; 5.5 MB pdf). FY07: A University Program of Accelerator and Detector Research for the International Linear Collider (vol. V): Detector projects (510 pages, revised 14 February 2007; 13.0 MB pdf). Also see the additional material for four projects received after assembly of the main document (1.5 MB, 34 pages). Note that two projects were renumbered on May 16, 2007. "Calorimeter and Tracking Studies..." (submitted by Lucien Cremaldi) is now 6.24. It had previously been numbered 6.21. Also, "Multiple Readout Calorimetry" (submited by John Hauptman) is now 6.25. It had previously been numbered 6.22. American Working Group on Linear Collider Accelerator Technology site contains, among other things, a link to a large list of very cool R&D projects awaiting our attention. LCRD - Fermilab (LCRD - FNAL) web site. (Their first organizational meeting was held at Fermilab, April 5th, 2002). University Consortium for Linear Collider R&D (UCLC) web site. (Their first organizational meeting was held at Cornell, April 19th, 2002). LCRD - SLAC. (Their first organizational meeting was held at SLAC, May 31st, 2002). Here is SLAC's NLC home page. Interactions, a web site of global particle physics news and resources. Linear Collider Forum, a discussion forum concerned with Linear Collider matters. Accelerator Technology Options Report (March 18, 2004). "This is the final report on the U.S. Linear Collider Technology Options Study by the U.S. Linear Collider Steering Group Accelerator Sub-committee, Linear Collider Option Task Forces JLC Project Report." Report on the TESLA Engineering Study/Review, presented to M. Witherell, July 12, 2002. LCRD-Fermilab Expression of Interest letter delivered to Fermilab June 12, 2002. Victoria, British Columbia (ALCPG) Linear Collider Workshop (Victoria; July 28-31, 2004). SLAC (ALCPG) Linear Collider Workshop (SLAC; January 7-10, 2004). Cornell (ALCPG) Linear Collider Workshop (Cornell; July 13-16, 2003). Photos! Arlington Linear Collider Workshop (UTA; January 9-11, 2003). Photos! Santa Cruz Linear Collider Retreat (UCSC; June 27-29, 2002). Photos! International Conference on Linear Colliders: Colloque international sur les collisionneurs linéaires (Paris, France; 19-23 April 2004). Asian Committee for Future Accelerators LC Symposium (Tsukuba, Japan; February 12, 2003). International Workshop on Linear Colliders (Jeju Island, Korea; August 26-30, 2002). Photos from Santa Cruz (June 27-29, 2002). Photos from UT Arlington (January 9-11, 2003). Photos from Cornell ALCPG meeting (July 13-16, 2003).